Ferraris are expensive. 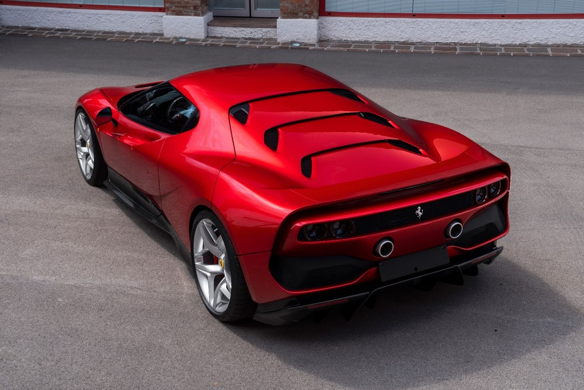 A one-of-a-kind Ferrari would be absurdly exorbitant—that’s what the Ferrari SP38 is. 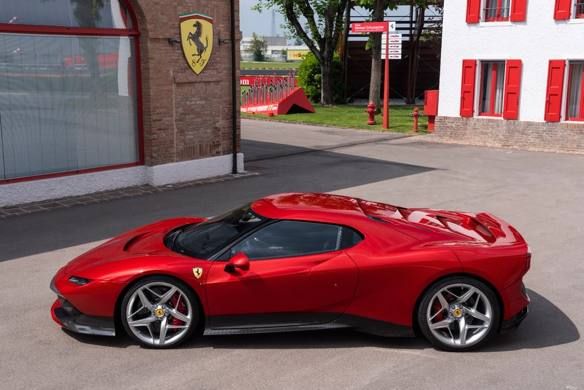 Said to be built for “one of Ferrari’s most dedicated customers” who has a “deep passion for racing”, this customised ‘art piece’ from the Ferrari Design Centre uses the same chasis and engine of the 488GTB, a twin-turbo mid-engine V8 making some 660 hp (492 kW). 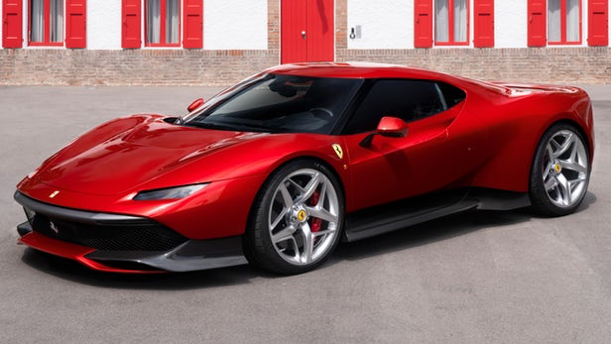 The all-new bodywork, in a newly conceived three-layer metallic red paint, marks a radical departure from the language aesthetic of the donor car but was inspired by the iconic F40, a car last commissioned by Enzo Ferrari himself. Visually, the SP38 appears concentrated over the rear wheels as the wedge design sharply stretches towards the front. The strongly tapered nose expands towards muscular wheel-arches, giving the car potency and agility. 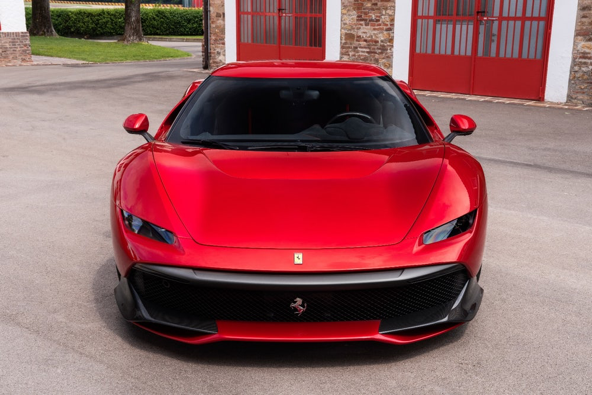 The headlights were designed to be as thin as possible, with the mandatory DRL (daytime running lights) units relocated to add character and functionality to a slim bumper lip reminiscent of the 308 GTB. 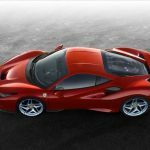 On the side, the defining air scoop of the 488 GTB is completely concealed, where the sheet metal folds in on itself from the low beltline on the door and into the rear wheel-arch and three-quarter light. 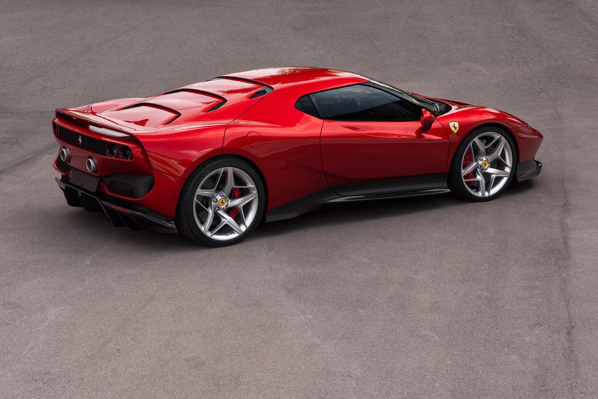 Dynamic styling continues over the engine cover, which sheds its rear glass, and is treated as a flip-up assembly in carbon fibre with shutlines slashing the flanks, in a gesture directly reminiscent of the F40’s. 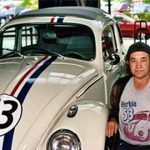 Three transversal slats slash across the engine cover to evacuate engine heat, and the smooth integration of a substantial rear spoiler is a hint at the famous rear wing of the F40. We don’t know who the owner is and we may never know, but he/she is one sure happy camper.